LanguageManager Created by NicolaLC. 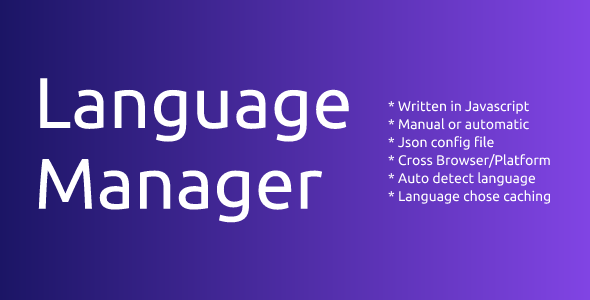 This templates have specific characteristics, namely: The Language Manager let’s you create MultiLanguage Websites using a JSON config file. It also manage your texts for different screen sizes, improving the your website responsive style for mobile devices. It lets . 1. Manage multiple language on your website;2. Define different texts for differents screen size (large, medium, small).3. Language Auto detection by browser language.4. Manually language choosing by select picker.5. No page reload while changing language.6. No multiple pages for different languages.